Refine your skin with Karin Herzog's Mild Scrub, a gently exfoliating formula that works to slough away dead skin cells to reveal smooth, radiant skin. 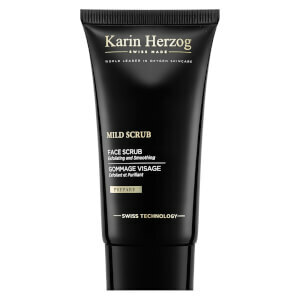 Utilising perfectly spherical particles of White Marble Powder, the face scrub delicately polishes the surface without irritating; it expertly sweeps away rough skin to leave skin soft, supple and radiant. 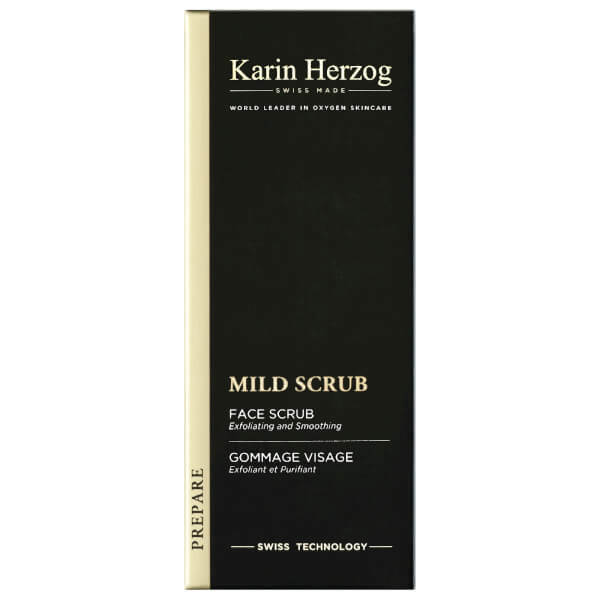 With damp hands massage a little mild scrub into the face and décolleté. Remove with warm water. Use several times a week. Aqua, Calcium Carbonate, Paraffinum Liquidum, Stearyl Alcohol, Polysorbate 20, Methylparaben, Propylparaben.